After John Greenwood and Robert Feke, the next painter to portray Boston’s increasingly wealthy citizens was the British-born Joseph Blackburn. Blackburn, who was probably trained in England, came to Boston in 1755 by way of Bermuda and Newport. He brought with him a rococo palette of pale colors, a repertoire of graceful poses and compositions from recent English portraiture, and a talent for capturing lace and other materials in paint. 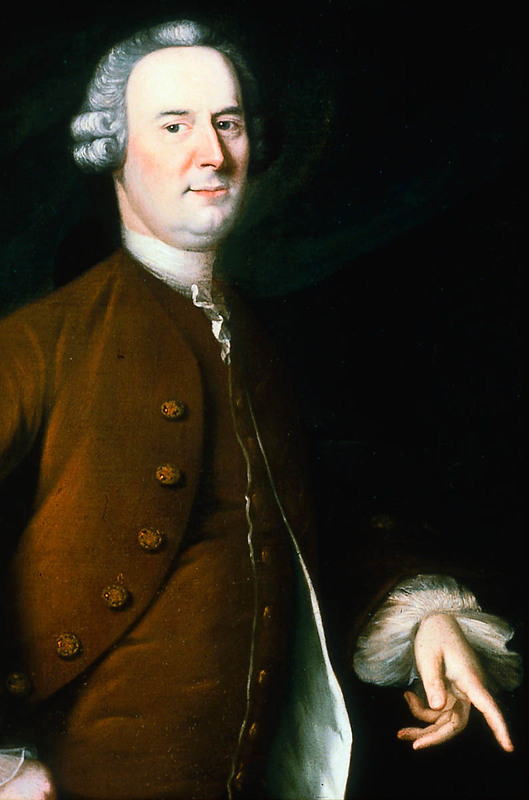 He arrived in Boston at an opportune time: John Smibert had died in 1751, Feke and Greenwood had departed, and John Singleton Copley was only seventeen. Blackburn painted more than thirty portraits over the next four years, flattering his sitters with graceful gestures and exquisitely painted costumes. 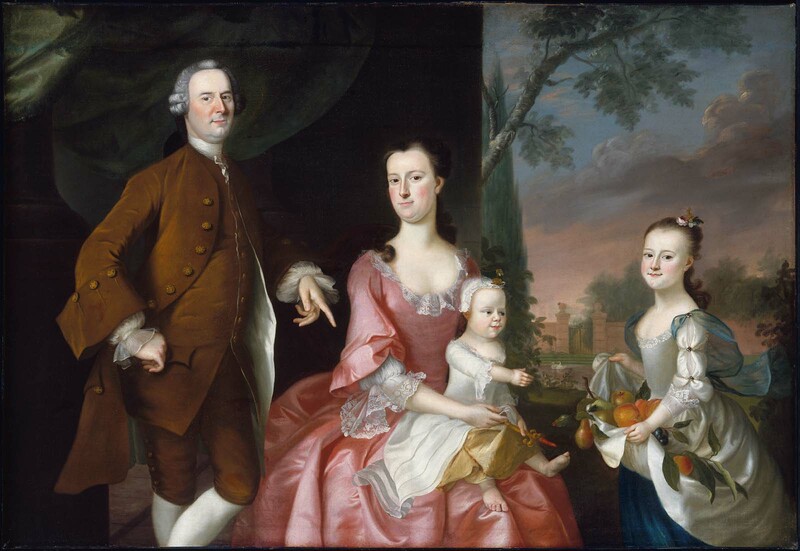 Isaac Winslow, a member of Boston’s mercantile elite who had been painted by Feke just seven years before [42.424], was wealthy enough to afford this stylish group portrait of his family. 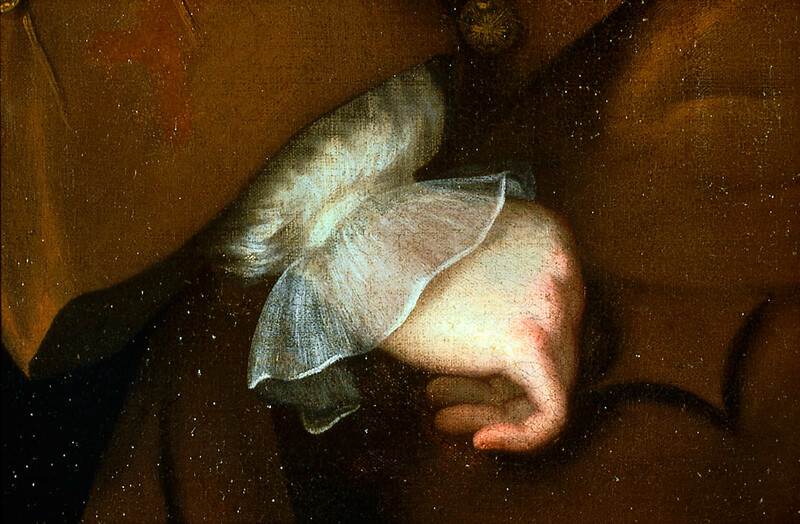 While Blackburn had little interest in expressing the character of his sitters, he produced an accomplished painting in the latest London style with pleasing likenesses and elegant, undulating drapery. He presented Isaac Winslow in a cross-legged pose of studied nonchalance as the proud paterfamilias, deferring to his wife, Lucy Waldo Winslow, and family. By way of lighting, color, and placement, the figures of Mrs. Winslow and the children become the focus of the composition. 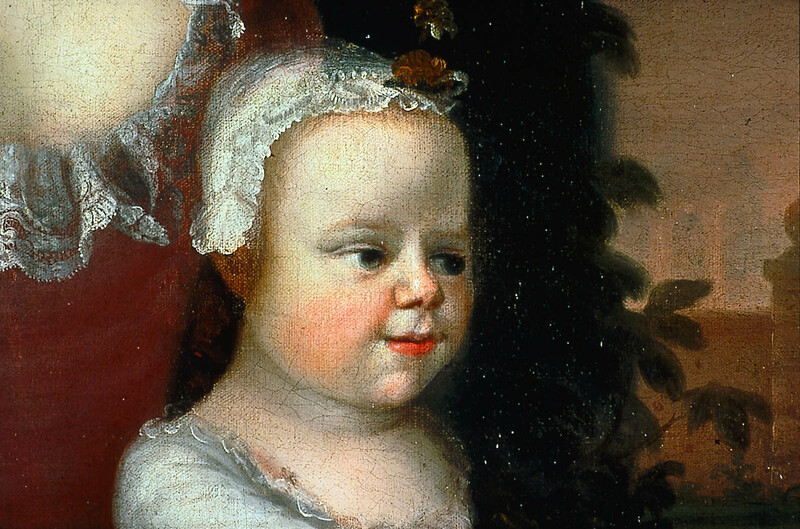 The mother holds a coral-and-bells teething toy for Hannah, one of the livelier babies of pre-Revolutionary painting, who sits on her lap. Hannah has distinctively babylike feet and reaches intently for the fruit held by her sister, Lucy. Behind the elder girl stretches an idealized garden with a swan pond, alluding to the family’s prosperity. 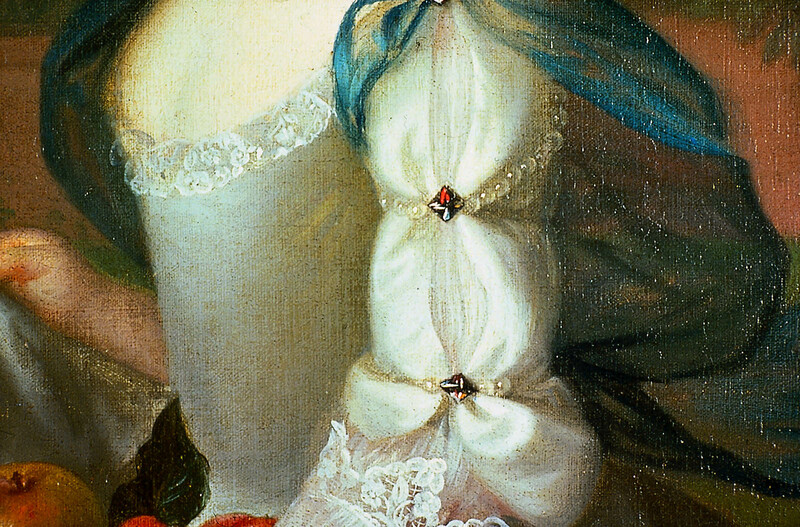 Blackburn displayed his talent for depicting lace and shimmering satin in Mrs. Winslow’s informal rose-colored gown. Neither Mrs. Winslow nor her daughter Lucy is dressed in contemporary fashion, giving the portrait a timeless quality. 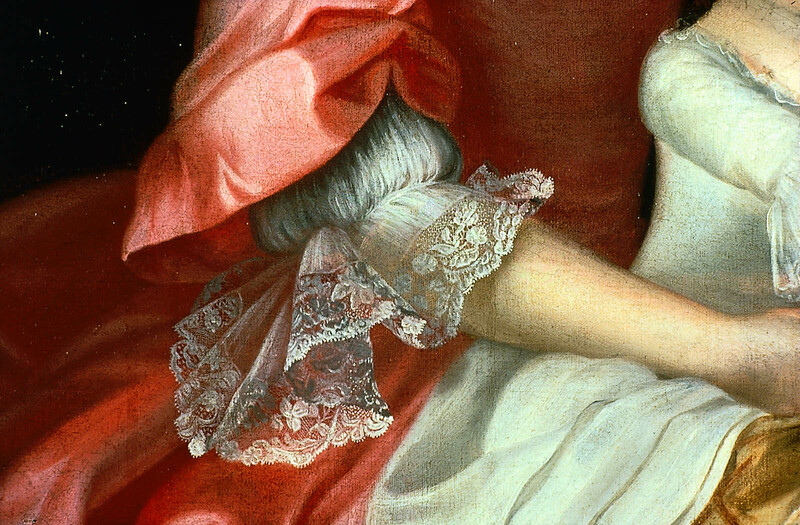 Mrs. Winslow’s dress, simple hair style, and pose are reminiscent of English artist Godfrey Kneller’s early-eighteenth-century portraits, and Lucy’s dress, with its swagged sleeves and floating drapery, would not have been seen in Boston in the 1750s. 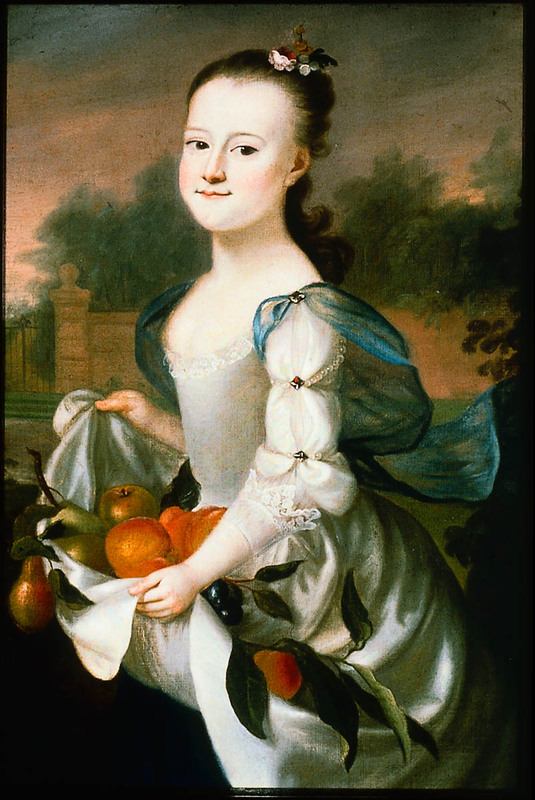 The fruit Lucy holds in her apron was a common attribute for girls in the eighteenth century, symbolic of abundance. 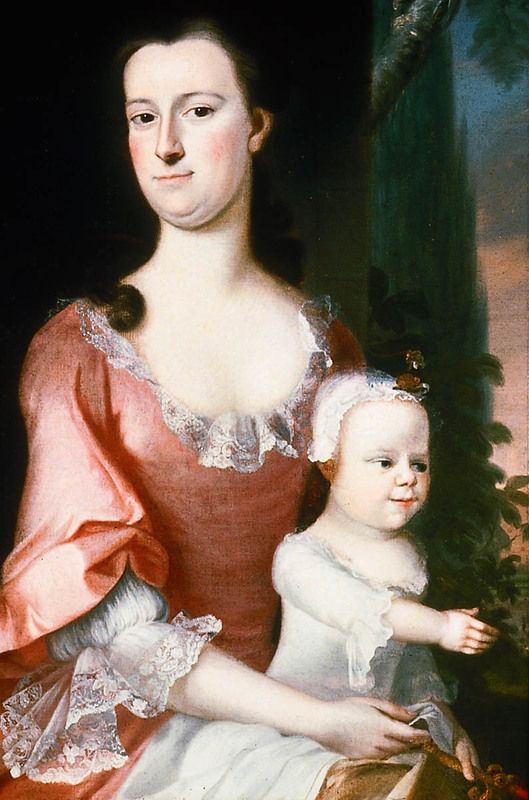 By 1758, Copley had absorbed the vocabulary of Blackburn’s lighthearted rococo style and began to move beyond it to become Boston’s premier portraitist. It may be for this reason that Blackburn moved to Portsmouth, New Hampshire. He worked there for five years before returning to England, where he continued to paint portraits until at least 1778. This text was adapted from Elliot Bostwick Davis et al., American Painting[http://www.mfashop.com/9020398034.html], MFA Highlights (Boston: MFA Publications, 2003).